Austin Guitar House is proud to be a Bergantino Platinum Dealer! The internal components used are extremely high quality and they are of Bergantino design. No ‘off-the-shelf’ parts are used. 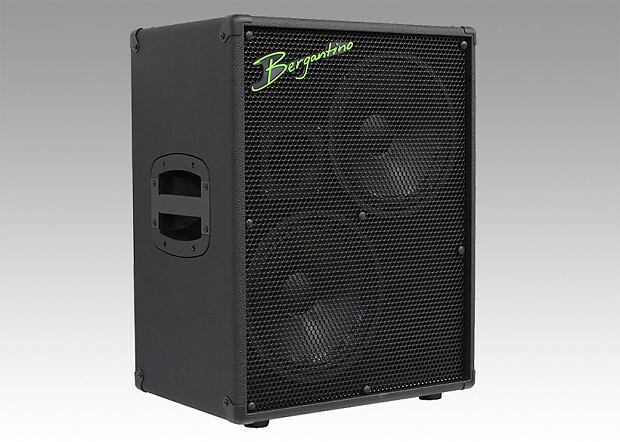 Bergantino's new design Neodymium magnet woofers (unique to the HDN) are used for the low frequency section of the HDN series cabinets. These Neodymium drivers have a punchy low-end and a very sweet midrange that is placed a little more forward in the sound field when compared to the HD series. Fretless and upright players will often prefer the HDN cabinets because of how the midrange ‘speaks’ with their instruments. The HDN series cabinets have a new design high intelligibility tweeter mated to the woofers through a custom designed phase-coherent crossover with a tweeter control. Because of the increased cost of the Neodymium magnet material and imported wood for the cabinetry, the HDN series speakers cost more than the HD series, but may just be the right match for your playing style and weight needs.